Professor Tom Bulger will lead a reading and discussion group at the Troy Public Library. 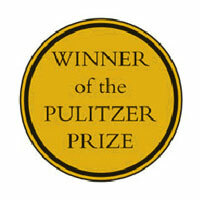 For a hundred years, the Pulitzer Prize has been a leader in recognizing excellence in American journalism, letters, drama, and music. Celebrate the centennial of the Pulitzer Prizes with this reading and discussion theme, featuring five novels that won the award for literature. Each novel in this series resonates with our contemporary moment, by looking at how authors have depicted our struggles to better ourselves and achieve the American dream — and how, despite our efforts, we can end of up unfulfilled or at odds with other elements of society. The first selection, Humboldt’s Gift by Saul Bellows, is available at the check out desk at the Main Library. Please have this book read for the April 3rd meeting. This program is supported by Humanities New York. Humanities New York is a private, non-profit organization that helps all New Yorkers to lead vibrant intellectual lives by strengthening traditions of cultural literacy, critical inquiry, and civic participation. Find out more about Humanities New York.